Bookings in advance are always best and easier to get a better time slot. In summer the best times are 8 am and 10 am departures, in the winter time airboat rides are good all day.. To book a trip with us fill out our Booking form and we will respond to your email .If you have any questions please see our Frequntly asked Suestions section to answer any questions you may have about our airboat rides at the time of booking. If you feel more comfortable calling us then you can reach us at 1-561-252-4030. On the 2 hour Package: Children under 6 years of age always ride for free !!!! Children between 6-12 years of age ride for half price $ 35.00 !!!! 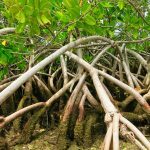 This tour is basically a fun ride and not meant for an Eco lover, its just a thrill ride and a brief look at the Florida Everglades. This is a non stop tour, this package is geared for persons who want a ride only. Understand 2 hours may seem like a long time but after doing this for 33 years it flies by when your having fun on the airboat. Our most popular airboat tour is the Everglades Explorer. There are up to 6 stops on this 15 mile back country trip and it is narrated by the Captain. 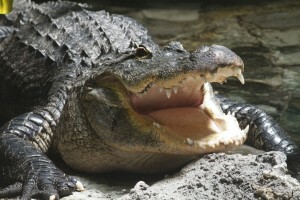 learn about the history of the Florida Everglades as well as face to face photo opportunities with the American Alligator, our bird life and fish as well. A perfect photo tour and it is not rushed. 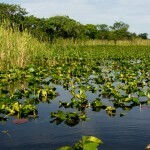 This Everglades tour package is for everyone, a great eco tour of the everglades with a splash of speed and excitement. Come join us today for a fantastic journey threw the river of Grass the Florida Everglades on an airboat ride with West Palm Beach airboat rides. If you are a larger group or having a corporate event or outing this is the perfect team building outing for your corporate group. Contact us today for Corporate group rates or company outings. 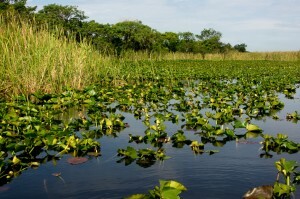 Come join us for a tour of the largest subtropical wetland in the world the Florida Everglades. 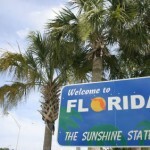 Did you know that the size of the Florida Everglades is about the same size as the state of Rhode Island. Our airboat ride company is family owned and operated and we also have different locations to choose from. If you are looking for an airboat ride in Miami Contact Cypress Airboats . If you are in the Fort Lauderdale area and looking for an airboat ride in the Everglades contact Airboat rides Fort Lauderdale One of Floridas best natural resources the Florida Everglades come join us for a tour of this awsome wetland.